Did you know that Olaplex can be used both as a stand-alone treatment as well as when getting your colour done? 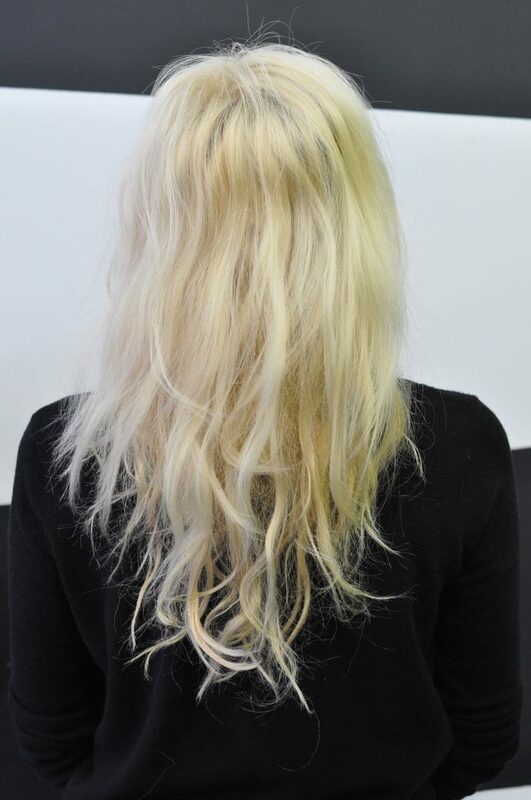 We’ve just documented the process of a stand-aloe Olaplex treatment in our salon and wanted to show you the results. First of all, let’s just get something straight: Olaplex isn’t just another hair conditioning treatment. It restructures your hair from within. OLAPLEX™ is a single active ingredient, designed to reconnect the disulphide sulfur bonds broken by the process of permanent hair colouring and lightening. These bonds are responsible for elasticity and strength of your hair. 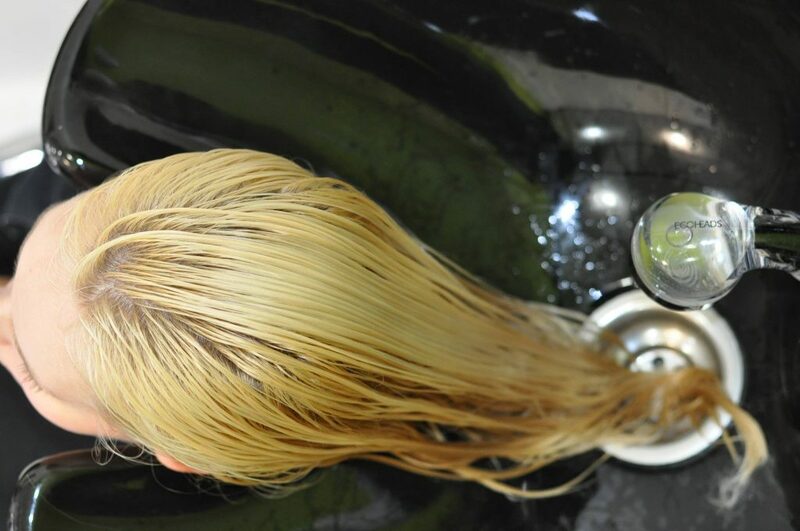 They do break during chemical processes, especially during colouring and perming. We can now say that until Olaplex, nothing’s ever been able to re-link these broken bonds. It’s the saviour of bleached locks. If you’ve over-bleached over the years, Olaplex allows you to rebuild the strength, structure and integrity of your hair. The system has allowed colourists to do work that they’d only ever dreamed of before as damage of bleaching is reduced to a minimum. It’s free of silicones, oils, aldehydes and parabens. First, Olaplex Number 1: Bond Multiplier is used – this time, we put it on the hair as a stand-alone treatment but we can mix it with bleach in order to minimise its damaging effect. Olaplex Number 3, Hair Perfector is where you take things into your own hands. 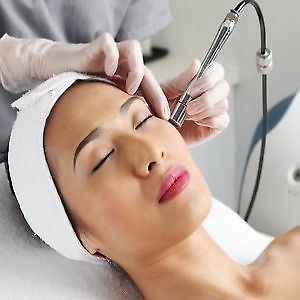 The third step is a take home treatment, which we recommend you use once a week. 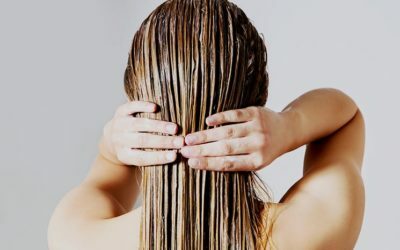 Apply to damp hair, comb through, and leave on for a minimum of 10 minutes at home before washing as normal. If you want to maximise the effect, leave it on overnight (as Kim Kardashian recommends). The hair feels genuinely smoother and looks far less frazzled than it did. You can tell why they’re calling it insurance for your hair. The repairing power of Olaplex is allowing more and more people to embrace blonde like never before. Ask for Olaplex to be added to your wash, (cut) and blow dry service to regenerate your damaged hair from within, or ask for it to be added to your colouring session and enjoy ultra-soft, healthy locks for months.